There’s nothing that says I love you more than the beautiful gift of diamonds! 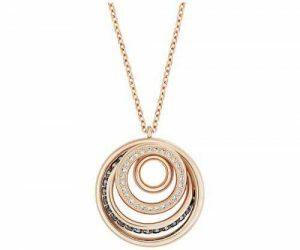 A girl’s best friend, Jewelry Design Gallery has a collection of designer diamond pendant and diamond tennis necklace styles, as well as the ability to create the custom diamond necklace for you or a loved one’s dreams! In business since 1984, Jewelry Design Gallery offers clients the best service, care and expertise in the state! Whether you’re looking to give a gift to someone bearing the birthstone for April or perhaps, create a custom diamond solitaire necklace that is one of a kind, our jewelers will make sure you find the sparkling creation of your dreams. We are a full-service jewelry shop. From jewelry appraisals to repairs to jewelry sales and custom creation, our team has the expertise to care for your jewelry needs from set to finish! Let our staff showcase our beautiful diamond necklace selection or work with you to build a custom diamond necklace that everyone will admire. Come in and see what all the talk is about and experience the Jewelry Design Gallery difference! Schedule your appointment today at (732) 536-1184. Located in the Towne Pointe Shopping Center at 357 Route 9 South in Manalapan Township. Drew has been my fiancé’s family jeweler since she was a child, and when we were shopping for rings, my fiancé wouldn't let me go anywhere else. Drew made me feel very comfortable with the process, helped with narrowing down the variety of choices, and answered all our questions.